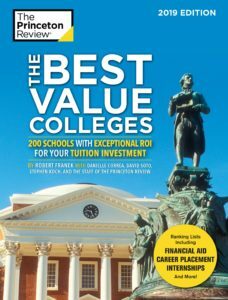 Lawrence University has been named one of the country’s best values among private colleges by Kiplinger’s Personal Finance in its 2014 annual list of the top 100 private universities and top 100 liberal arts colleges from among the nation’s more than 2,100 four-year, not-for-profit, public and private colleges. Lawrence, ranked 96th, and the other schools selected for the 2014 list, represent the colleges that provide high-quality academics at a reasonable cost. Kiplinger’s draws its list from colleges that exemplify the attributes parents and students look for in higher education, including small class sizes, a good freshman retention rate and a high four-year graduation rate. In compiling its rankings, Kiplinger’s measure academic quality and affordability. Academic criteria include the student admission rate, the test scores of incoming freshmen, student-faculty ratio, and the four- and five-year graduation rates. On the cost side, Kiplinger’s measures the sticker price, the availability and average amount of need-based and merit-based financial aid, and the average student debt at graduation. The 2013 Forbes report, prepared by the Washington, D.C.-based Center for College Affordability and Productivity, lists Lawrence 85th among 650 of the nation’s leading undergraduate colleges, 75th among private colleges and 16th among Midwestern colleges. The rankings are based on five categories: post graduate career success, student satisfaction and retention rate, student debt, four-year graduation rates and competitive awards, such as Rhodes, Fulbright and Watson scholarships. In conjunction with Forbes.com’s third annual “America’s Best Colleges” report, the Center for College Affordability and Productivity (CCAP) provides additional rankings beyond the magazine’s list of the nation’s best 610 undergraduate institutions. 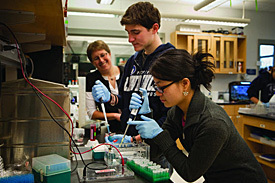 In its recently released 2010 study, in which Lawrence University was ranked 50th nationally, Forbes and the CCAP also ranked Lawrence favorably in two other categories. Using the Carnegie classification “Baccalaureate Colleges – Arts and Sciences,” which is regarded by Forbes as the nation’s best liberal arts colleges, Lawrence was ranked 29th among 196 schools, placing above such peer institutions as Bates (31), Macalester (32), Grinnell (48), Connecticut (53) and St. Olaf (70) colleges. 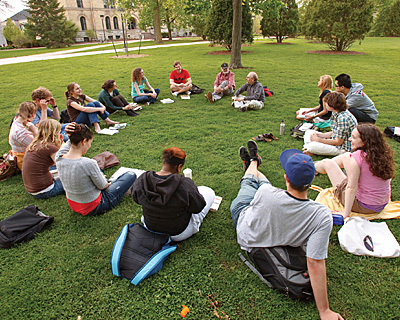 In its listing based on regional location, the study ranked Lawrence seventh among 150 institutions in the Midwest, ahead of peer schools Macalester (8), Oberlin (11), Grinnell (17) and St. Olaf (22) colleges. Based in Washington, D.C., the CCAP is an independent, not-for-profit research center dedicated to facilitating a broader dialogue on the issues and problems facing the institutes of higher education in the United States.